Thrift Inspiration...............Parkas for all budgets! Hi everyone! Wishing you all a Happy Monday and I hope you are bearing up with all the snow we are having! This month I have been trying to just thrift items that I know I will definitely wear and really like, as opposed to items that I will put in the wardrobe for an 'in case occasion'. I already have so many items that don't get worn regularly so I am trying to fill in the basics and then shop my wardrobe as much as possible. 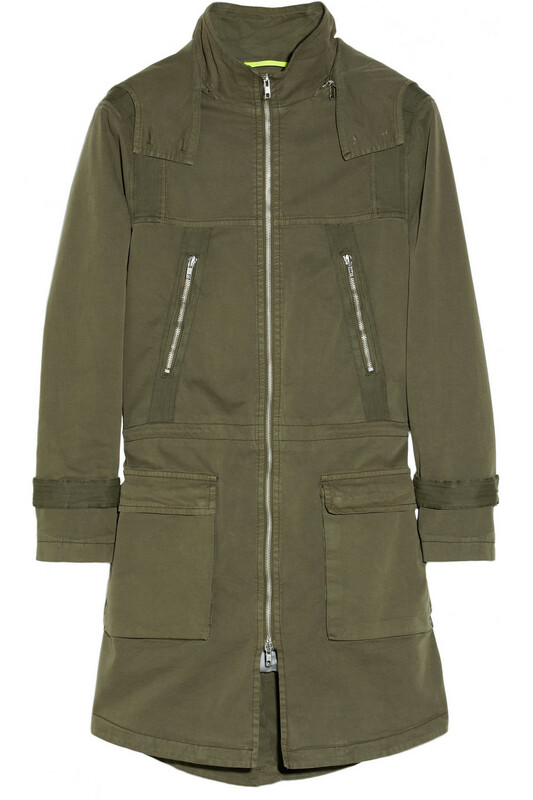 One item that has been on my style radar for a long while is a khaki green parka. Regarding rainwear, I am very much in the 'parka' camp as opposed to the 'trenchcoat'. As much as I really like them I don't feel 'me' in them and just prefer to admire them on other people! I like the minimal detailing and the coat will be easy to style with any given outfit, particularly with skinny jeans and boots. I think dark khaki is a very versatile and easy neutral colour to work with in the wardrobe for Spring and makes a fresh change from black and beige. What is your style choice for rainy weather, do you wear parkas or raincoats and will you be investing in either for Spring? I have either a classic duffel coat or a tailored 'puffa' style jacket, depending if I'm wearing vintage or modern. I like a parka, but I can't justify a new coat when I have several good ones already. The trench was my first love and I discovered the parka only last year after years of thinking they were too casual for me. I found 2 both from the mens department, H&M and Gap and I couldn't be happier with them! I alernate between a trench or parka depending on where I'm going. So no need to look for either - yay! Yours is the best! Great work! Your Parka was a great find! I haven't wear a Parka since I left San Diego back in '99 ( I used to have a thrifted yellow Tommy Hilfilger). I don't think that we have a rainy season anymore. The South Florida weather is crazy (it was cool and rainy yesterday morning and then bright and hot the rest of the day) so different colors umbrellas is the way to go. I like parkas! Good find! I tend to wear a variety in the rain- it depends on the temperature!!! I also have a duffle coat for slightly smarter occasions and a khaki sort of parka that I have had for years. I just love the colour of it and it always feels good to wear. Mine is a bit faded out now so if I saw one in a charity chop, I would definitely have to grab it! Your was a fantastic find. i love parkas, and a good trench coat. i love your coat...i like the clean lines! 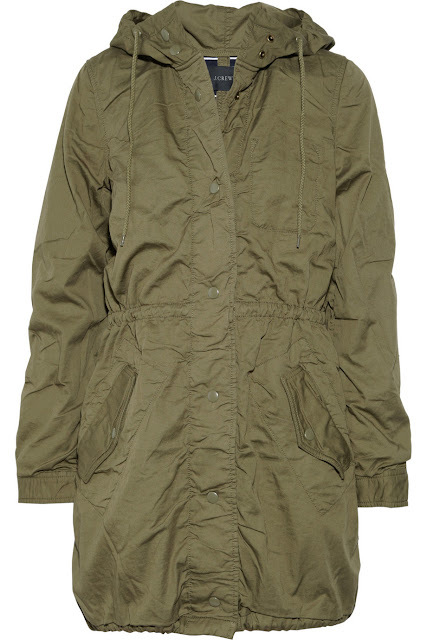 I think finding the perfect parka is so difficult, and I am still on the hunt for one myself. The one you picked up is pretty sweet - I do need one for when it rains, I am without a rain coat! I have two - a summer weight one and another for the cooler months. I think I was just greedy. I agree completely. I love Parkas. I just bought one from Burlington Coat Factory. They had a great selection and I saved about $60 on the one I decided to buy.